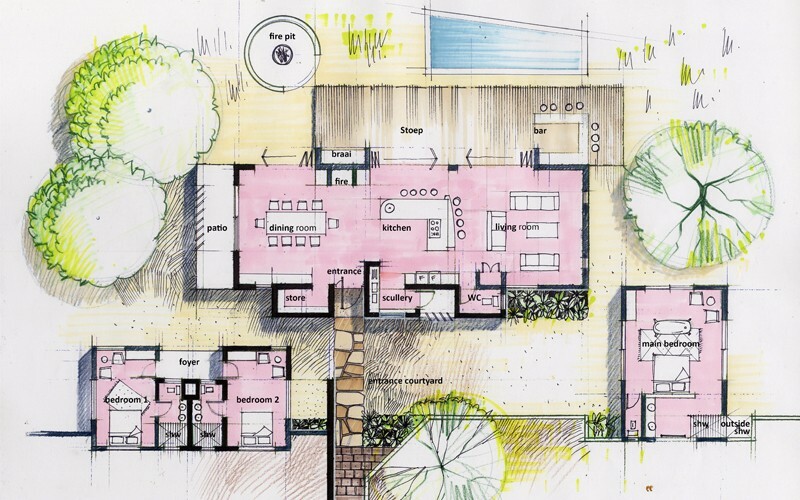 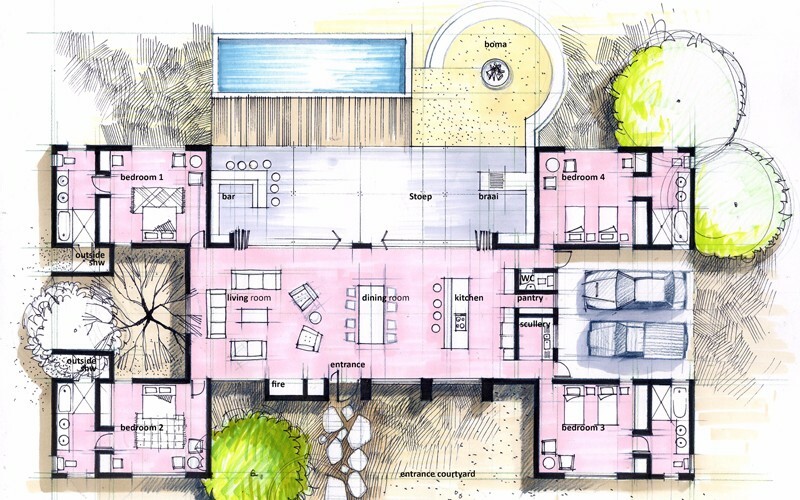 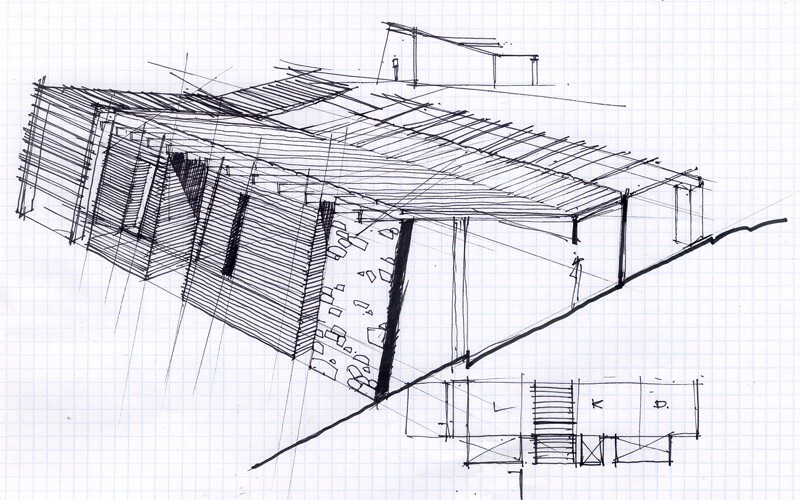 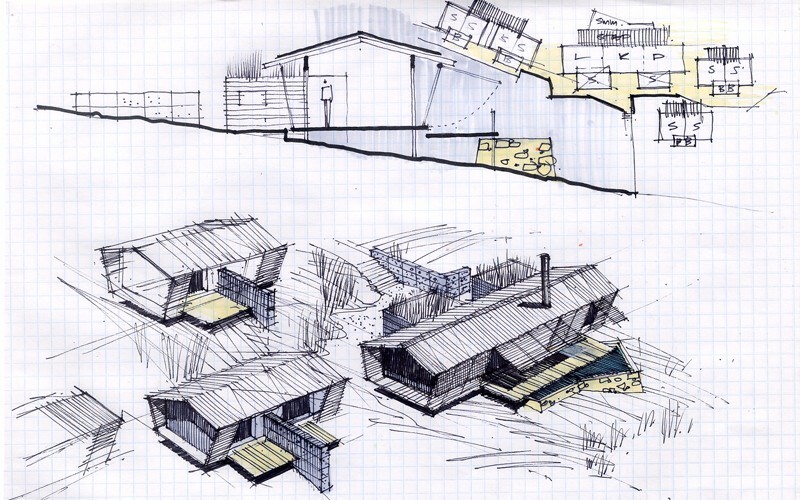 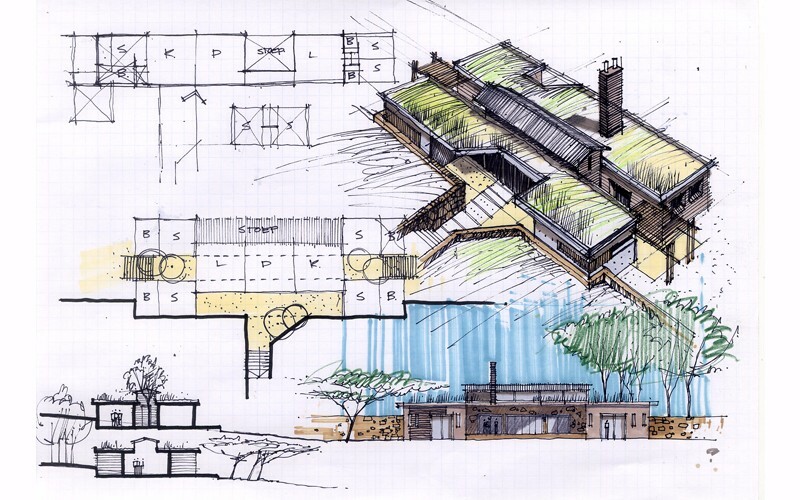 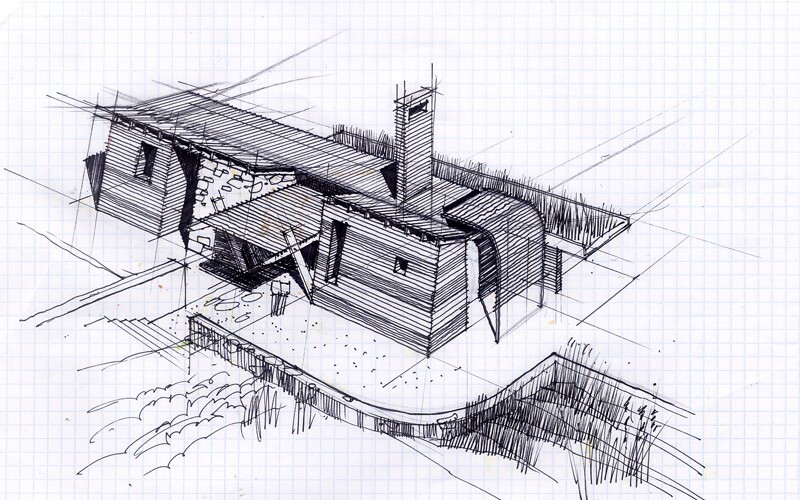 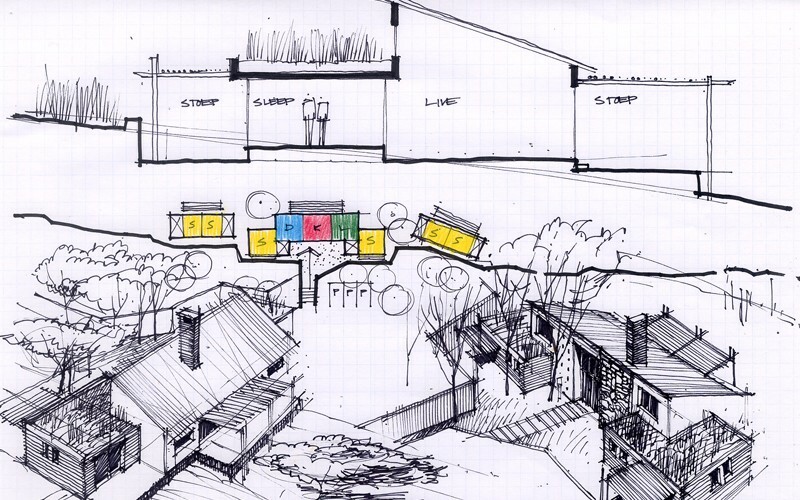 The brief was to prepare an architectural language for a unique wildlife estate in the Rustenburg area. 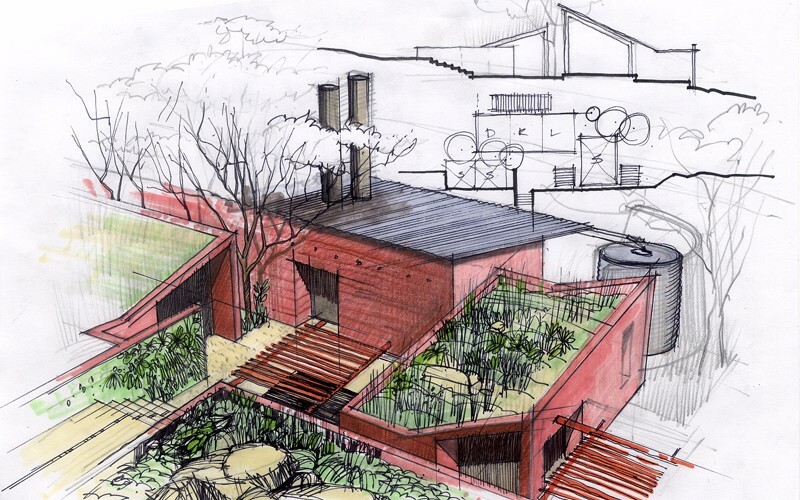 The site slopes towards the south, so all buildings and roofs are designed to be as un-intrusive as possible. 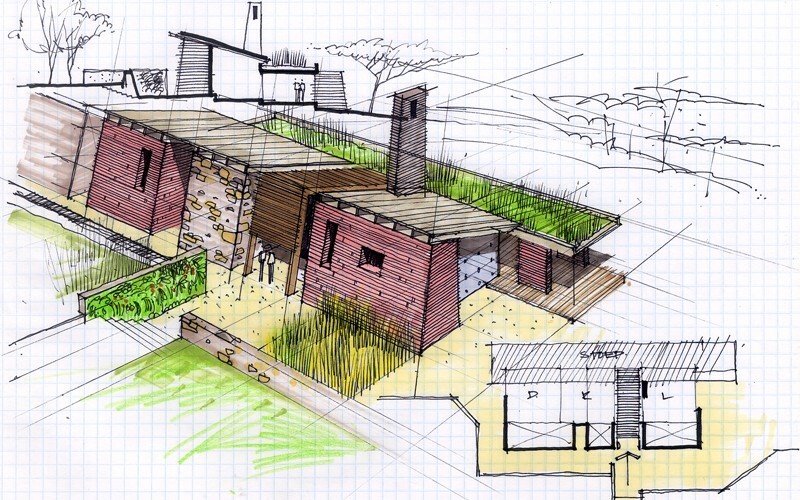 A cut and fill approach was used, with a combination of sloped roofs and green roofs, allowing the landscape to engulf the structures and soften the visual impact.